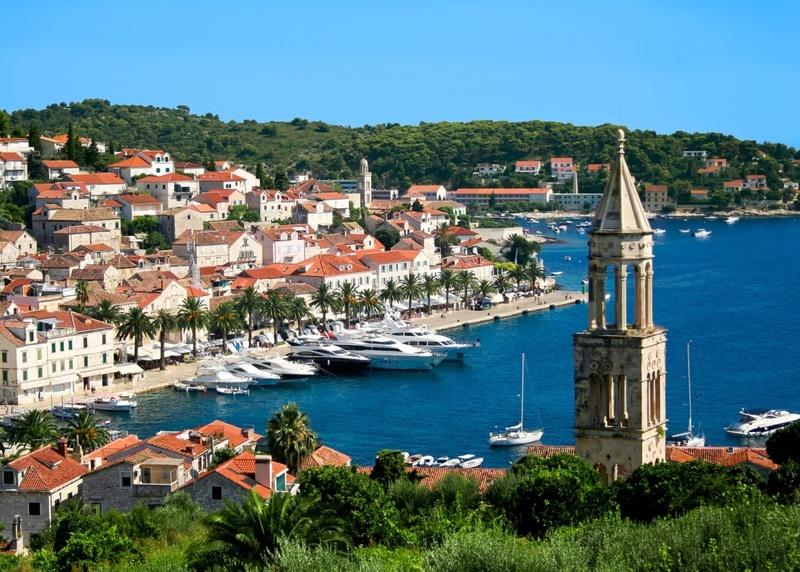 Hvar is considered to be one of the most beautiful islands in the world due to its amazing natural beauty in combination with rich cultural heritage and historical importance. Mild climate and impeccably pure, crystal clear blue sea with incredibly rich nightlife and irresistible gastronomic offer are some of many reasons why Hvar is among of the most desirable summer destinations in Europe. The distance from the mainland provides just the right amount of isolation for your peaceful vacation. But, don’t be fooled, your stay at the Island of Hvar isn't going to be a Robinson-style adventure, unless you want so. Hvar has everything that even the most demanding modern tourist may require for a perfectly comfortable and careless vacation. If you enjoy exploring the cultural significance and the historical sights of your vacation destinations, Hvar definitely won’t leave you idle. With its 3000 years long history, reaching as early as the prehistoric times, Hvar is rich with archaeological findings and historical monuments. From one of the Europe’s oldest theaters in the city of Hvar to the ancient remains of Pharos in today’s Stari Grad; there is so much to explore and admire. Hvar is blessed with the typical Mediterranean climate and is considered to be the sunniest part of Croatia with approximately 2700 sunny days a year. Exploit the ideal weather conditions and soak up the invigorating sun rays while refreshing yourself in the crystal clear depths of the purest blue sea. Hvar is surrounded with beautiful public beaches and untouched, hidden bays shielded by the fragrant pine trees and lavender bushes. Visit sandy beaches of Jelsa or rocky coves of Vrboska. The small archipelago Pakleni Otoci is just a short boat ride from Hvar, offering an entirely new range of bathing resorts. 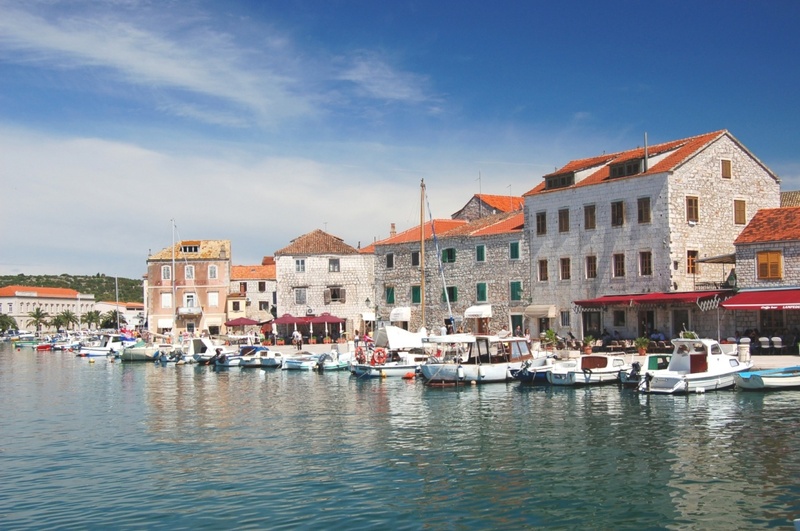 The gastronomy of Hvar is beloved and admired among its visitors as well as the locals. You can taste some of the best dishes of the healthy Mediterranean cuisine in numerous modern restaurants and traditional Dalmatian taverns all around the island. Traditional organic farming and the use of healthy ingredients with freshly caught seafood and fish, lots of homemade olive oil and Mediterranean herbs provide signature aromas of Hvar cuisine specialties. As much as the Island of Hvar is often dubbed the “party central” of the Adriatic, it can also provide a peaceful and impossibly quiet refuge from the crowd and noise of your everyday life. You can stay in one of numerous bays on the southern shores of the island and enjoy the intimacy of vacation with your loved ones. Private houses in Hvar bays are available for rent. And if you still prefer to enjoy the crowd of a popular tourist resort and lose yourself in the loud beats of modern music, Hvar City is just the place for you. Its numerous popular nightclubs are ensuring good company, creatively prepared cocktails and fun lasting until the early morning hours.